The growth and spread of non-governmental organizations (NGOs) at local and international levels has attracted considerable interest and attention from policy-makers, development practitioners, academics and activists around the world. But how has this phenomenon impacted on struggles for social and environmental justice? How has it challenged - or reinforced - the forces of capitalism and colonialism? And what political, economic, social and cultural interests does this serve? NGOization - the professionalization and institutionalization of social action - has long been a hotly contested issue in grassroots social movements and communities of resistance. 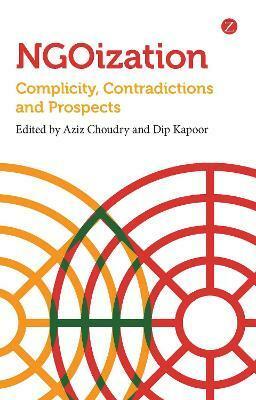 This book pulls together for the first time unique perspectives of social struggles and critically engaged scholars from a wide range of geographical and political contexts to offer insights into the tensions and challenges of the NGO model, while considering the feasibility of alternatives. Aziz Choudry is assistant professor in the Department of Integrated Studies in Education at McGill University, Canada. He is co-author of Fight Back: Workplace Justice for Immigrants (Fernwood, 2009), and co-editor of Learning from the Ground Up: Global Perspectives on Social Movements and Knowledge Production (Palgrave Macmillan, 2010) and Organize! Building from the Local for Global Justice (PM Press/Between the Lines, 2012). With over 25 years of experience as a social, environmental and political activist, educator and researcher, he currently sits on the boards of the Immigrant Workers Centre, Montreal and the Global Justice Ecology Project. He is also a co-initiator and part of the editorial team of www.bilaterals.org, a website supporting resistance against bilateral free trade and investment agreements. Dip Kapoor is professor of international education in the Department of Educational Policy Studies at the University of Alberta, Canada. He is Research Associate and Founding Member of the Centre for Research and Development Solidarity CRDS), an Adivasi (original dweller)-Dalit rural peoples' organization in Orissa, India. His relationship with the Adivasi-Dalit Ekta Abhijan (ADEA) land and forest movement in Orissa goes back to the early 1990s. Recent co-edited collections nclude: Education, PAR, and Social Change; Education, Decolonization and Development; Indigenous Knowledge and Learning in Asia/Pacific and Africa; Learning from the Ground Up: Global Perspectives on Social Movements and Knowledge Production and Globalization, Culture and Education in South Asia: Critical Excursions.